Back in May East Park qualified five riders for the RDA National Championships at Hartpury in July. Hartpury is an amazing venue and the positive atmosphere of the championships is a real example of the RDA slogan “It’s what you can do that counts”. After some amazing fundraising by all the parents and hard practising by the pupils the team at Little Brook swung into action and prepared the three ponies for travel. The journey was hot but uneventful and everyone arrived safely and settled into their accommodations, humans and horses alike! Early on Saturday morning our first two riders; Orla, riding Star, and Darcy, riding Liquorice, took to the Gloucestershire hills led by Sally and Jon for an endurance ride. The ponies were checked by a vet upon setting off and again on return. They were given the choice of a one or two kilometre course and wisely, considering the heat, both chose the 1k route. The ponies behaved superbly and the event was enjoyed by all. Both ponies coped well and their heart rates barely rose which shows their fitness was excellent. Ponies were rested, unlike the humans, and little Star was bathed again to keep that wonderful clean coat sparkling white. All of the riders were entered for the Countryside Challenge at varying times. 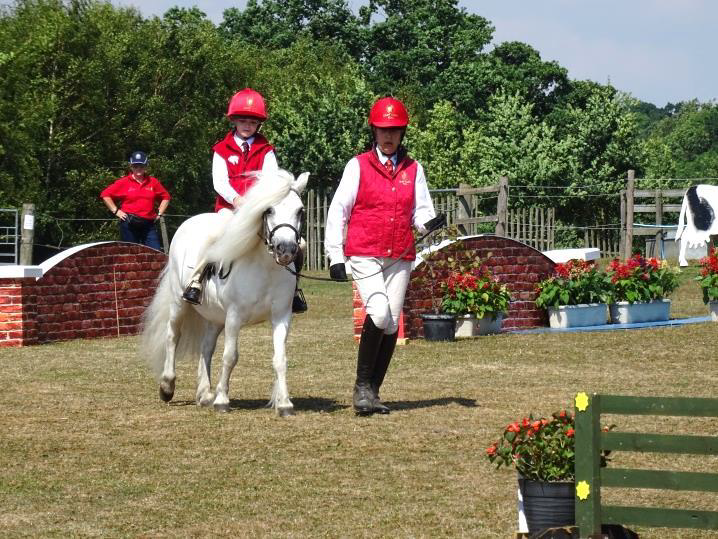 The children individually ride a challenging course involving a number of obstacles to manoeuvre through, and around on their pony. Each child is judged on their riding skills, controlling both pace and direction of their ponies, and at the end of the day all the marks are added up for the various categories. We are immensely proud of all our pupils for their hard work and effort. To qualify was exciting but for all of our riders to be placed in such esteemed company was astonishing. As with our weekly lessons, achieving this level of success is a real team effort and we are very grateful to everyone who went along to help.